A U.S. soldier at the abandoned Camp X-Ray detention facility at the U.S. Naval Station in Guantánamo Bay, Cuba, April 9, 2014. Barack Obama’s 2008 rival John McCain may be offering the president his last chance at fulfilling the pledge he made immediately after taking office to close the detention facility at Guantánamo Bay. Six hundred and fifty-five detainees have been transfered to other countries, including six Yemeni men sent to Oman last month, but 116 remain. Several of those are considered too high a security risk for transfer to another country, and a major obstacle barring the facility’s closing has been 2010 legislation blocking the transfer of prisoners from Guantánamo to the United States. McCain’s proposed measure, which would be part of the forthcoming Defense Authorization Act, would strengthen restrictions on transferring detainees abroad, but in exchange would also give the White House the opportunity to submit a plan for the facility’s closure. 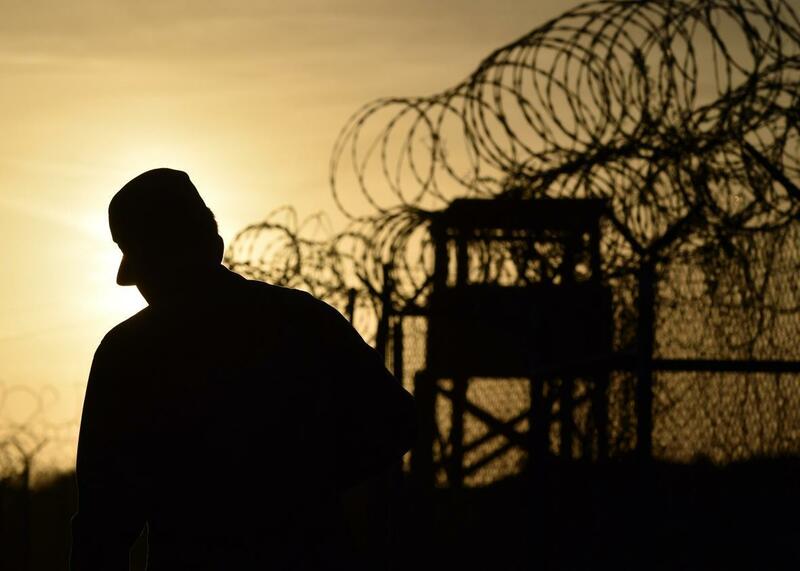 If Congress approved that plan, the White House could begin ordering the transfer of detainees from Guantánamo to the United States for trial or imprisonment. That’s a big if. McCain’s fellow Republicans may be willing to defend his honor from Donald Trump, but that doesn’t mean they share the former POW’s views on U.S. detention policy. A competing House version of the measure includes only the new restrictions on transfers to other countries, which would ban the transfer of detainees to conflict zones like Afghanistan and require the secretary of defense to certify that the countries where they’re headed could maintain control over them. And the leading GOP candidates are generally in favor of keeping Gitmo open. As I wrote in January, despite the fact that the controversy and expense of Guantánamo outweigh its military benefits, return of the base to Cuba is a nonstarter for the moment. For one thing, Obama will already have his hands full in his remaining months trying to make sure his Cuba moves aren’t immediately reversible by his successor and, if McCain has his way, dealing with the unfinished business of closing the detention center. Assuming McCain’s gambit doesn’t work—and it seems like a long shot—the White House plan is to reduce the number of detainees to the point that keeping it open is hard for even Republicans to do. This makes sense: At some point it will seem absurd to continue to spend more than $2.5 million per prisoner per year to keep a handful of terrorists in Cuba rather than in one of America’s many fine supermax facilities. Then again, when it comes to Cuba, bad U.S. policies have a way of sticking around.